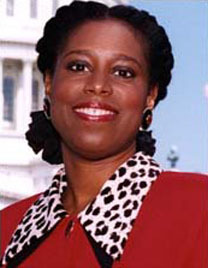 The first black woman to serve as a U.S. House Representative from Georgia, defeated in the 2002 Democratic primary by Denise Majette largely over allegations that she implied that George W. Bush knew about the impending 2001 terror attacks and did nothing to stop them. Green Party's nominee for President in 2008. Held office as a Democrat; joined Green Party in 2007.